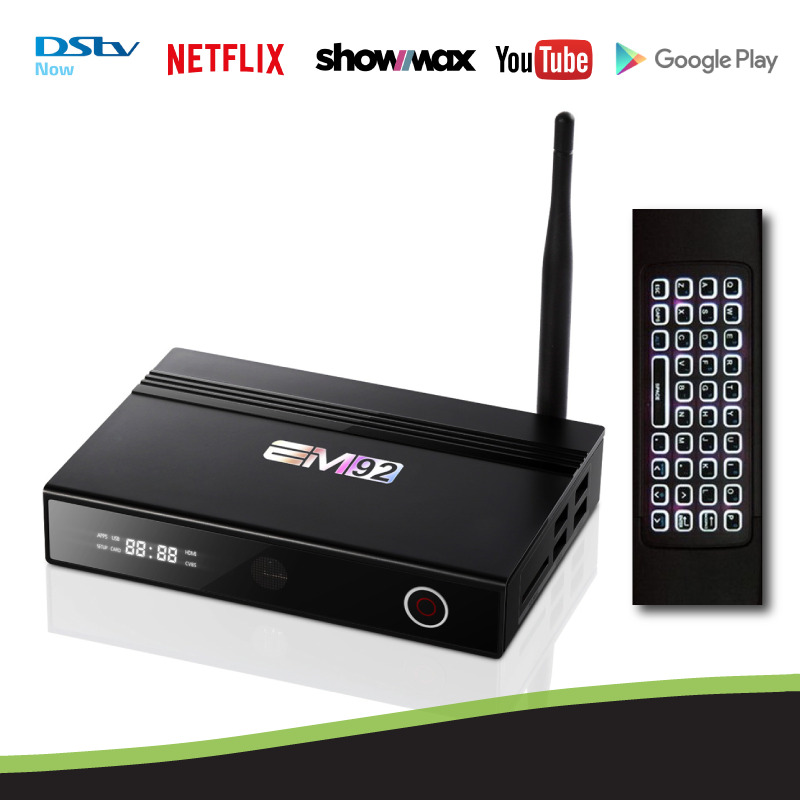 PRE-INSTALLED APPS: DSTV NOW, NETFLIX, SHOWMAX, YOUTUBE, INTERNET BROWSERS, GOOGLE PLAY STORE & MUCH MORE! 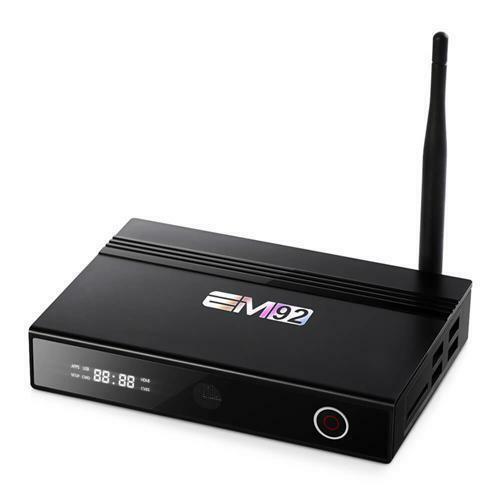 The EM92 comes with the Amlogic S912 Octa-Core CPU which is a high performance 64bit chipset known for a maximum clock speed of up to 1.5GHz. Apps have never run so smoothly. 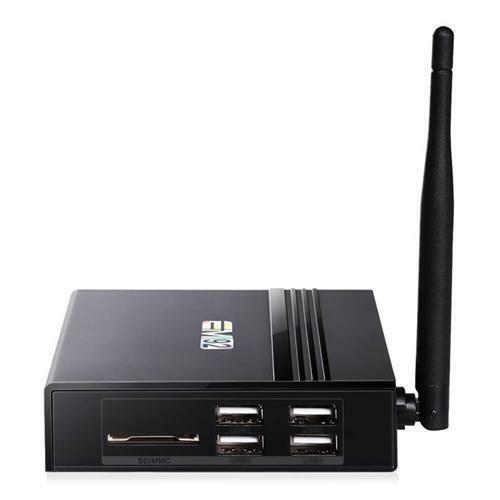 Enjoy your favourite games and Android Apps with its 2GB DDR3 RAM and 16GB Flash ROM. Android Marshmallow is a refinement and extension of the core features and functionality of Android Lollipop. Marshmallow primarily focuses on improving the overall user experience of Lollipop, introducing a new permissions architecture, new APIs for contextual assistants, a new power management system that reduces background activity when a device is not being physically operated, native support for fingerprint recognition and USB Type-C connectors, the ability to migrate data and applications to a microSD card and use it as primary storage, as well as other internal changes. 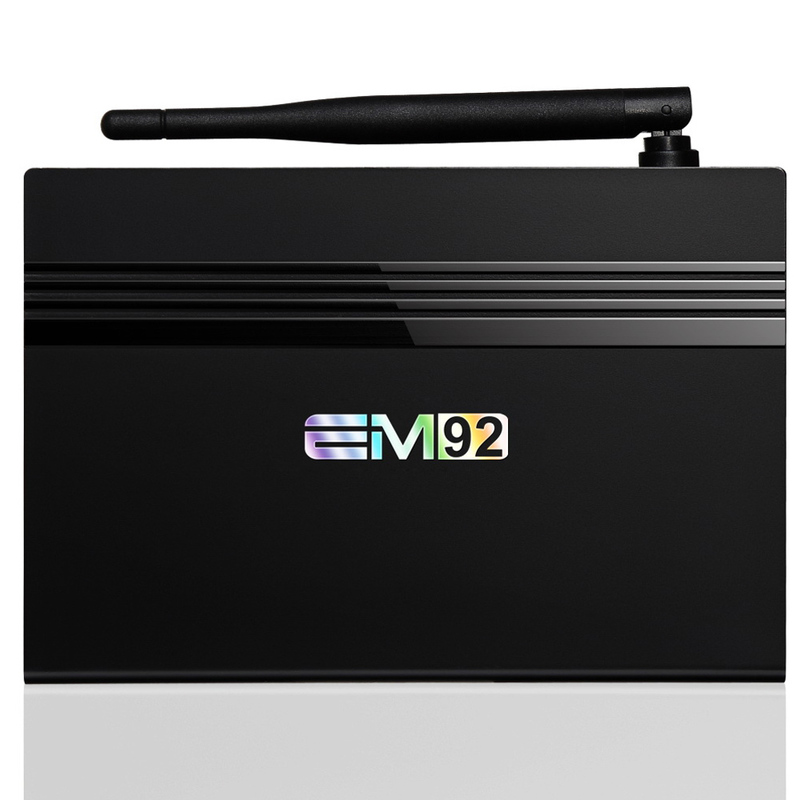 The EM92 boasts DDR3 2GB RAM, and eMMC 16GB Flash, advantageous in performance, security and reliability, ascribing to the eMMC memory, ultimately delivering a richer end-user experience. 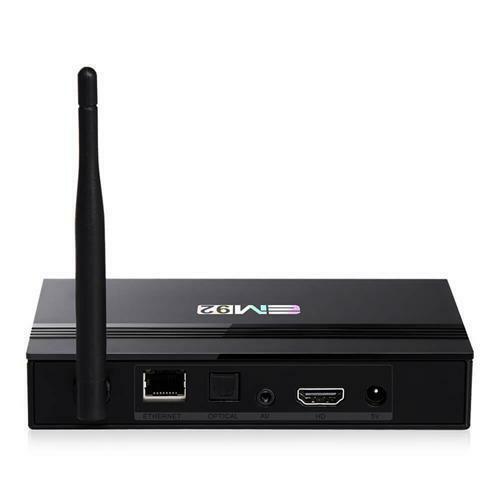 DSTV NOW, Netflix, Showmax, YouTube, Google Play Store, Google Chrome, Miracast / AirPlay, Kodi, MX Player, Aptoide TV (app store), OTA (over the air firmware updates) and much much more! You have the ability to install any Android App of your choice. 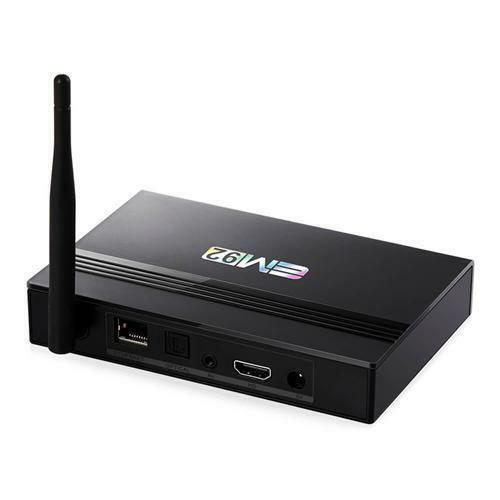 Personalizing your device to suit your needs is as easy as can be.